Over the past couple of years, New Jersey has been hit with several severe storms where trees have damaged power lines, causing massive power outages. One way to prevent this from happening in the future is to have trees properly trimmed and pruned before the storms. That is why assemblyman Joe Cryan has recently proposed a bill that would make people eligible for income tax credit for pruning their trees. Our highly skilled and experienced technicians are good at trimming and removing trees in any location. At Amazing Tree Services, we have the right equipment to do this quickly and safely, even in the most confined spaces. Since we own all of our own vehicles and equipment, it cuts down on rental costs, which allows us to pass the low costs on down to our customers. All of our tree services are fully guaranteed. For more information on tree services in Short Hills, NJ, call Amazing Tree Services today at 973-343-6868! Can Trimming Trees in NJ Give Tax Breaks? Current legislation being reviewed by the New Jersey Assembly might be able to save homeowners tax money simply by regularly trimming trees. In the aftermath of hurricane Sandy, many people noticed that fallen trees were the main cause of prolonged power interruptions that were difficult to correct. The current bill could give breaks to property owners who are willing to regularly trim and maintain the trees on their land that are close to power lines as an effort to reduce the number of outages and the difficulty that often comes with restoring them. The superstorm that New Jersey has dealt with for over a year exposed many different shortcomings with the way we are able to respond in an emergency. By taking the time to prevent potential setbacks during a possible disaster, we can be that much more prepared for weather and storms in the future. Amazing Tree Services, a tree company in NJ, can easily provide you with these tree trimmings – regardless of the legal requirements or ramifications that might go before the assembly. If you believe a tree might knock out your power, call a service and have an expert take a look at what you are dealing with. For more information on our tree company in NJ, call Amazing Tree Services today at 973-343-6868! Are Tree Pests and Diseases on the Rise? A recent report by scientists from Cambridge, Oxford and Southampton universities in England has come a the startling conclusion that due to the worldwide nature of global trade – of which plants are an import as well as an export – the instances of tree disease and pest infestations are on the rise. This study points to inadequate knowledge of tree diseases and pest problems on a scientific basis, but for the time being the most common practice for taking care of any infected or contaminated tree is to schedule a professional tree removal. There are a number of way to tell if there is an infected tree on your property. Visual signs of weakness, poor growth, broken and mushy bark or physical deterioration are all noticeable signs that you need a tree removal in North NJ. If you are unsure, the best way to proceed is by a professional tree removal in NJ from a company like Amazing Tree Service in North NJ. For more information on tree removal in North NJ, call Amazing Tree Services today at 973-343-6868! With Chris Christie’s reelection as governor, many people are now talking about the presidency. While the New Jersey governor still has a long way to go, New Jersey trees will be in the White House next month. For the first time ever, the White House Christmas tree was selected from New Jersey. White House Chief Usher Angella Reid found four Douglas firs that will decorate the White House this Christmas season. The trees were selected from Wykoff’s Christmas Tree Farm in Belvidere. If you have a dead or dying tree, it is important to get it trimmed or removed before winter comes. Winter winds and snows can be very damaging towards trees. If a branch breaks or a tree gets uprooted, it can be very hazardous to people or property below. For more information on tree removal in Clifton, NJ, call Amazing Tree Services today at 973-343-6868! It was recently announced that the tree to be in Rockefeller Center this Christmas seasons will be a 80 foot Norway spruce that comes from Shelton CT. This is the second time in six years that the Christmas tree came from Shelton. It will make its debut on December fourth. Tree trimming and pruning are not only good to keep your tree looking great, but also keep you safe. If any sick or dead branches are left on your tree this winter, they can easily come off during a storm and damage any people or property below. It is recommended to have this taken care of before the start of winter. For more information on tree services in NJ, call Amazing Tree Services today at 973-343-6868! A recent survey in Australia has published results that gold deposits are actually being absorbed by the roots of eucalyptus and transporting microscopic amounts of gold to the leaves of these trees. While it has been known by scientists for some time that plants can absorb minerals, the idea that trees can indicate the presence of gold underground spells exciting changes to come in the field of gold prospecting. The eucalyptus tree can have roots that dig over 100 feet underground in search of water – an adaptation necessary to live in the arid Australian climate – and apparently these roots have literally struck gold. The amount of gold is extremely small that is carried inside the tree itself, about 80 parts per billion in the leaves, but the sign of the gold inside the plant signals that the area is rich in the mineral deposits and can lead to startling advances in the mining industry. Unfortunately, there are no trees in North Jersey that are known to absorb gold. Despite this fact, trees are an important part of the cosmetic and environmental aspects of the towns and parks that we love so much, and a world-class tree company in New Jersey can help you with any tree issue you have efficiently and quickly. If you have more questions about the trees in your area, talk to an expert today by calling 973-343-6868. While most people have probably heard about the devastating impact that the mountain pine beetle has had in South Dakota and the Black Hills, there are many harmful tree diseases in New Jersey that can be lurking right in your back yard ready to cause some serious damage. The expert arborists at Amazing Tree Service can help you diagnose some obvious forms of tree sickness with some tips that will save you a huge hassle down the road. Asian Longhorned Beetle – this invasive species attacks most kinds of trees and can cause some serious harm to their hosts. The beetles bore large holes inside the trunks of trees and the only way to contain these trees is to have tree removal in NJ that completely destroys the trees as well as the beetles. Bacterial Leaf Scorch – this tree disease prevents water from nourishing the leaves and extremities of trees until they slowly waste away from thirst. It can take years to completely kill a tree this way, but the brown and dead leaves throughout the year make this disease easy to spot. Gypsy Moth – an insect that feeds on trees and shrubs, this moth mostly prefers the plentiful oak trees found throughout the state. An invasive species, the gypsy moth is currently in 19 states and can be treated through pesticides or naturally occurring bacterial control. The stress caused by this moth can make trees more susceptible to boring caterpillars or defoliation. Verticillium Fungus – this tree disease lives in the soil and dirt, but spreads through water and wind. This fungus blocks water from going up the roots of a tree and keeping the host healthy. Trees with this disease will appear brown and dead, even in the spring and summer. Pruning or tree trimming in NJ can have an impact on stopping this deadly disease from spreading. These are some of the leading causes of tree sickness throughout New Jersey, and we believe that you will be able to notice the symptoms of any of these issues in a timely enough way to save your trees. The tree experts from Amazing Tree Service can perform inspections on your trees and help you spot countless other diseases that have very subtle symptoms only a professional can detect. Due to a mixture of natural disasters and human developments, the borough of Tenafly is looking into how to repopulate the area with trees throughout the community. In a statement by the mayor of Tenafly, the community has always prided itself on being a “tree community,” however at this point in time is actually losing more trees than are being planted and as a result is losing ground rapidly. While it is agreed that community development is important (trees being lost to road repaving being just one example of Tenafly’s tree woes) there is now more emphasis on putting up trees in “smart locations” where they can flourish without being hazardous to people or preventing necessary construction. These days the borough plants replacement trees on a case-by-case basis, however there is also an issue of some replacement trees not receiving the proper care during adolescent growth stages and dying quickly as a result. A growing emphasis will hopefully be placed on replacing lost greenery. 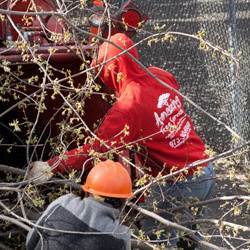 Amazing Tree Service is a professional tree care company that can perform tree removal in Passaic County, and while the focus here is planting more trees sometimes there are situations where a tree removal is the best way to improve the general environment. Sick or deteriorated trees leftover from storms can form weak junctions where new limbs grow on old stems that cannot support the new weight. Additionally, rot and disease can spread from old trees to new trees quickly and completely, so getting rid of one sick tree amidst newly planted trees can ensure the longevity and lifespan of the entire grove. For more information about the tree efforts in Tenafly or to inquire about a tree removal in your area, contact Amazing Tree Service today by calling 973-343-6868. Aphids – Small insects that can range from the size of a pin head to a match head. They pierce leaves and stems of plants and young saplings and drain their fluids. One of the best solutions for these pests are lady bugs. They are the aphids natural predator. Whiteflies – Small winged insects that fly in clouds when an infected plant is disturbed. Signs of infestation are yellow stippling and leaves curling and turning brown. They can often be removed with a powerful jet of water. Oak Root Fungus – An infection that gradually destroys trees and woody plants by decaying their roots. The symptoms are dull yellowed leaves and sparse foliage. If a tree is infected with oak root fungus, you will see a layer of white fungal tissue under the bark of the trunk. Powdery Mildew – Fungi that infects leaves, buds and flowers. It appears as a white circular patch and spreads rapidly. New growth may be stunted and blossoms may fail. Sudden Oak Death Syndrome – Usually occurs in heavily wooded areas. It can be fatal to some plants, including oaks. The pathogen itself is spread by a variety of host species and is also spread by wind-blown rain. If any of the trees on your property suffer from any of these, or any other ailments, removal may be the best idea. Removing diseased trees before they spread to your property can end up saving you financially, as well as saving you a headache. If you are looking for tree removal in Essex County, call Amazing Tree Service today for a free tree removal estimate. Winter is coming and along with it are snowstorms and blizzards. This can be hazardous if diseased or dying trees are left during heavy snowfall. Each year, falling trees injure people and damage property. People are urged to report any damaged trees that they come across in parks and other such public places. Amazing Tree Services is a professional Morris County NJ tree removal company that high quality tree services at affordable prices. Our highly trained skilled technicians have the all of the right knowledge and equipment to quickly and easily remove any trees. If you notice any of these things, a professional should be contacted for removal. 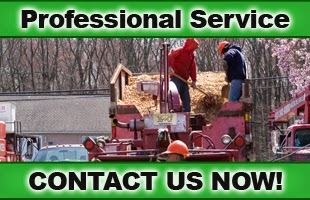 If you would like more information on tree removal in Morris County NJ, contact Amazing Tree Services. With all of the recent storms that have hit the East Coast in recent months, many trees have been knocked damaged or uprooted altogether. It can be dangerous to leave them in this condition, especially as winter approaches. If heavy winds of snow hits a sick or dying tree, it could knock branches or the entire tree itself onto people or property below. It is best to get these things straightened out before the storms come. Amazing Tree Services is a professional tree company that provides several types of amazing tree removal NJ services at affordable rates. It can be a hassle and even dangerous to remove a tree on your own. Our highly skilled and experienced technicians have the tools and knowledge to quickly and safely remove any dangerous trees or branches, even in tight and hard-to-reach spots. We are a fully licensed and insured company that provides our services 24 hours a day. If you would like more information on any of our NJ tree removal services, contact Amazing Tree Services. According to a recent report by CNN, the strength of the storms in the Tri-State area on October 7th, 2013 caught many by surprise. Although no tornado touched down despite an all-day warning in many regions, northern New Jersey was left devastated in some areas. Fallen trees and poles were found throughout Bergen County and the outlying areas, and tree removal is now a priority for many who believed that the trees on their property were healthy enough to withstand any weather. The importance of tree inspection and maintenance has never been clearer to residents of North Jersey. Some of the factors that can impact the strength and health of a tree are often overlooked by the average homeowner, but the experts at Amazing Tree Service have published some pointers that will allow owners of homes and businesses to brace their property for the many storms that occur throughout the fall and winter seasons. If a tree endangers life or property because of proximity to a home or walkway, tree removal is a reasonable option to look into. Look at the unions of your branches. Where branches fall off and regrow on older trees, the newer branch may be too heavy for the older stump to support. These branches should be pruned or trimmed to decrease the weight. If there is mulch surrounding the base of your tree, pull it back and check to make sure the bark is not soft or peeling. Mulch can trap mold, fungus and disease against the trees so that the chance of sickness is higher. It is recommended that mulch be kept a minimum of six inches from the base of all trees. Take steps to winterize your tree against insects. Sprays can be effective in keeping these critters from burrowing into the trunk. It is the duty of every homeowner not to neglect the upkeep of house and property, and there is no more stark a reminder than when trees are falling down throughout the region. If you are worried that the next storm might be too much for your trees, contact Amazing Tree Service for an inspection. During the autumn months, tree limbs falling is a large risk that must be considered by home and business owners during their seasonal preparations. Amazing Tree Services helps clients throughout Northern New Jersey take care of their trees and ensure that people as well as property is safe from the potential of falling branches. Take some time and go over these fall tree care tips that will help you stay on top of yard maintenance. Spray for insects around the trees, since fall and winter is when these pests can burrow farther into a tree and cause serious damage. Keep mulch at least six inches from the trunk of a tree to prevent mold and fungal growth. Fertilize and feed your trees, keeping the pH level where it should be for the winter. Problems with pH can make limbs brittle and decaying. Scan your trees for weak unions and branch connections. If a new branch is growing on a weakened trunk, the weight can be too much for the tree to support. Make sure that you spend time watering your tree while you can, so that the roots and main trunk have as much nutrients and water as they will need for the coming months. Failing to do this can weaken your tree. If there are fallen trees or branches, take them off the property as soon as you can. These are not only breeding grounds for mold and insects, but can also contaminate healthy trees with disease and mold. Get pruning done to ensure that the branches that are a danger to walkways and homes are removed before it is too late. Chop up fallen branches for safety and to reduce the weight of a tree in the event of snowfall and wind. These are only a few of the tips that the experts at Amazing Tree Service can provide to customers who are hunkering down for the winter. Preparation now could save you time and money down the road, so take some time and speak with an arborist on the best way to take care of your trees without resorting to a tree removal. Amazing Tree Services is dedicated to providing our customers with the most efficient tree removal in Millburn NJ. Our tree experts will take care of any type of tree service that you may need, ensuring quality. We provide free estimates on all of our Millburn NJ tree removal services. Tree Removal in Millburn NJ - Whether large or small our tree technicians are expertly trained to handle the most complete tree removals in Millburn. Tree Trimming in Millburn NJ - We are experts in all types of tree trimming and guarantee your complete satisfaction throughout our service. If you have a broken branch on your property that may fall, our technicians are fully equipped to remove it safely. Tree Pruning in Millburn NJ - Amazing Tree Services specializes in tree pruning to ensure that all of your trees, no matter the size, are healthy and in excellent condition. This service detes dead or diseased tree limbs enabling us to provide the proper service. 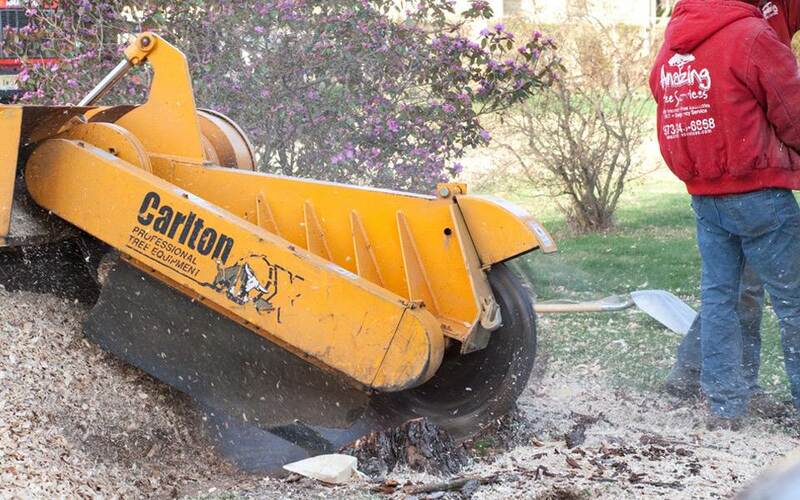 Stump Grinding in Millburn NJ - If you need a tree stump removed that might remain on your property from a past tree removal, we have the machinery and technical experience to handle it. Amazing Tree Services are here to perform tree removal in Oak Ridge NJ as residents prepare for blowing winds and freezing temperatures that can spell danger for your trees. 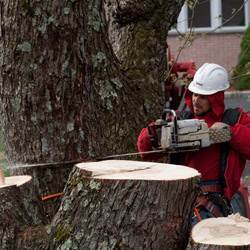 Proper tree care is essential to the appearance of your house as well as ensuring that you are safe from falling limbs and branches so consult Amazing Tree Services about whether or not you require a stump grinding, tree trimming, tree pruning or tree removal in Oak Ridge NJ this autumn. 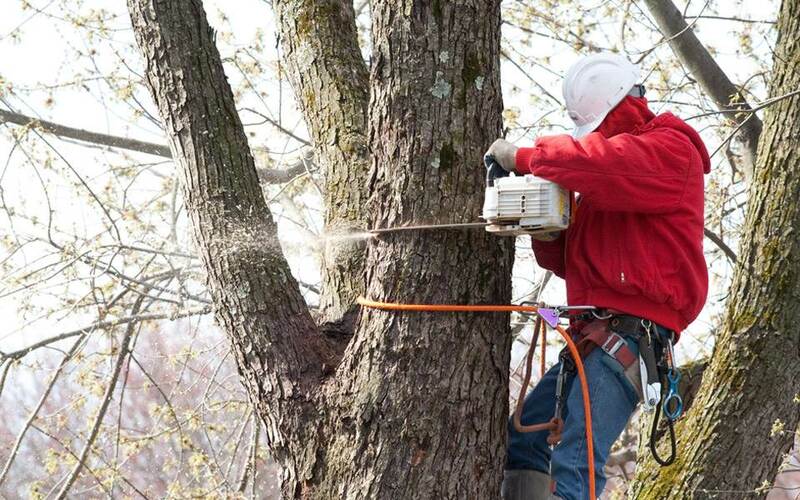 Our technicians are expert arborists who will always do everything in their power to save the trees on your lawn unless an Oak Ridge tree removal is the absolute safest solution for your home or business. We have equipment and experience that turns the process of tree removal into a smooth, convenient and easy task where you do not have to worry about anything at all. Whether you have a complicated problem that you need taken care of immediately or just want to do some last-minute sprucing up on your property as you get ready for holiday lights or snowfall, Amazing Tree Services will accommodate what you need. For more information about tree removal or our other tree services in Oak Ridge NJ call us today at 973-343-6868 and speak with an expert. As we move away from summer and prepare for the harsh winter snows, it is important to make sure that your trees are ready for the weather. Excessive amounts of snow can bring down sick and dying trees and branches, possibly damaging any people or property underneath. By making sure that everything is trimmed and cut beforehand will give you the peace of mind to know that disasters will not occur. Amazing Tree Services is a professional tree company that provides amazing tree cutting services in Rockaway NJ at competitive prices. If you would like any more information on any of the Rockaway NJ tree cutting services that we provide, call Amazing Tree Services at 973-343-6868 for a free estimate. Cracks and Cankers – Cracks are deep splits through the bark and are usually a sign that the tree's system is failing. Cankers are holes where bark is missing, they weaken the integrity of the tree. Weak Branch Unions – This is an area where the branch isn't securely attached to the tree trunk. This happens when two branches grow closely together and bark grows between them. The bark isn't as strong as wood and it weakens the union between the branches. Dead Wood – This looks dry and lifeless, easily breaking away. It's brittle and can't bend in the wind like a healthy branch, making it likely to break. For this reason, dead branches need to be removed immediately. Decay – When a tree decays it's usually from the inside out, so identifying this is tough. Fungi, like mushrooms, is a good way to identify if your tree is decaying. Poor Tree Architecture – If your tree is starting to grow unevenly, indicated by lopsided growth. This is usually caused by years of damage from storms or improper pruning. If you find one or more of these symptoms in your trees it is a good idea to call Amazing Tree Service. For years, we have offered multiple services including tree cutting in Essex County. Amazing Tree Service knows that tree cutting in Essex County is essential in maintaining your tree's health and protecting you from the problems that may arise. If you're looking for tree cutting in Essex County, call Amazing Tree Service today at 973-343-6868. In recent years it seems like the storms in New Jersey have been getting worse. New Jersey is rich with trees and since Mother Nature has been throwing all she has at us, tree removal in Morris County has been more important now than ever before. Fallen trees can be a hazard for many different reasons. Fallen trees are not only a safety risk for you, your family or any visitors on your property, but they can also turn into a pest farm. Dead trees make a good home for various species of small mammals and insects. 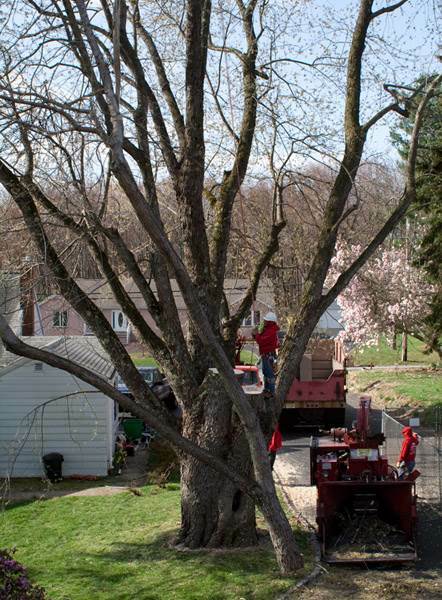 At Amazing Tree Service, our expert tree technicians are knowledgeable and skilled in tree removal in Morris County. We are closely familiar with our equipment and take all means necessary to minimize risk or complications while maximizing efficiency. 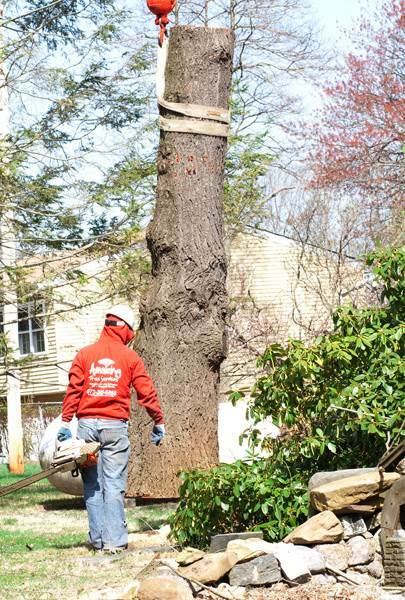 As a premier tree company in Morris County tree removal we ensure that your property will be impeccably clean. With the fall season coming up, this is the perfect time to make sure that all of the trees in your yard are sturdy enough to withstand the ruthless onslaught of high wind and cold temperatures that we are in for. 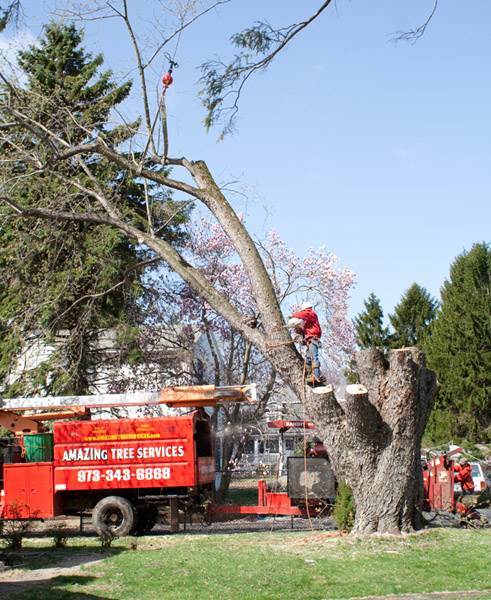 Amazing Tree Service performs inspections and tree removal in Wayne NJ that can keep your property safe from falling trees and hazardous limbs that can be loosened by the wind. Do not wait until your trees fall down to have them removed, call Amazing Tree Service for tree removal in Wayne NJ. 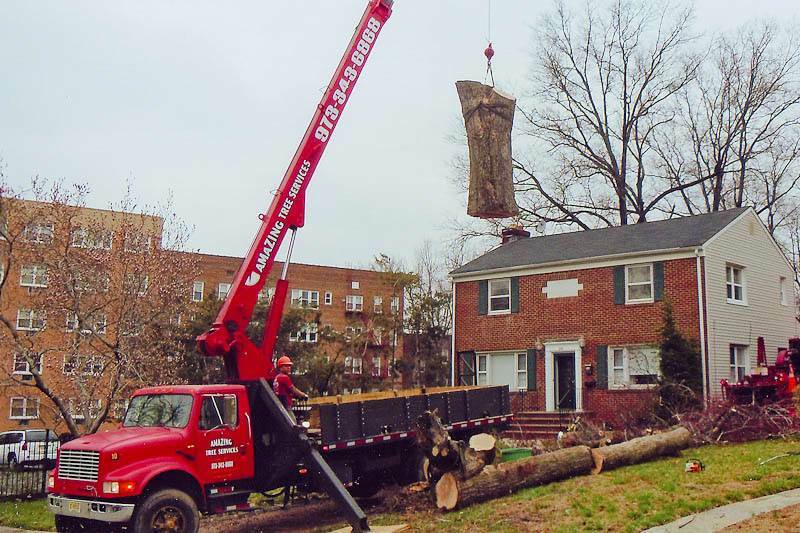 Amazing Tree Service employs experts in the field of tree removal in Wayne NJ, and we own all the heavy machinery necessary to turn this arduous task into a quick and easy process that is hassle – free for our customers. We perform every service with satisfaction guaranteed, and we will give a free estimate before we begin our job and stick to the quoted price every time. For more information about the Wayne tree removals performed by Amazing Tree Service, call us today at 973-343-6868. With all of the recent storms that have occurred this past year, many trees have been damaged. If you have a dead or dying tree on your property, you should have it removed as soon as possible. You do not want trees or heavy branches fall to on people or property. Amazing Tree Services is a professional tree company that offers amazing tree cutting services in NJ. Amazing Tree Services owns all of our own trucks and equipment. This eliminates rental costs and allows us to pass the savings down to you. After any of our tree removal or stump grinding services, we can leave behind any firewood or wood chips if requested. Stump grinding can be dangerous if attempted by an untrained individual. Our workers have the proper training to do this quickly and safely. If you would like more information on any of our NJ tree cutting services, call Amazing Tree Services at 973-343-6868 for a free estimate. The NJ landscape offers a variegated quilt of fronds. Some of the exquisite assortment of trees that NJ has to offer are red oak, silver maple, river birch, Jersey pine and scarlet oak. These trees are what make our state beautiful. At Amazing Tree Service, we take honor in all of the tree care services we offer. 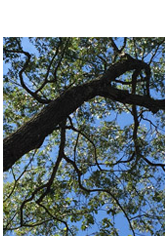 No matter what type of tree you have on your property, we will be able to help you. We are a fully insured company offering exceptional NJ tree trimming services. If any of the trees on your property have weak or broken limbs, we will make sure they are removed with care and safety. At Amazing Tree Service, we maintain all the equipment needed to safely offer tree trimming in NJ without causing damage to the tree itself, or surrounding trees. Are you in need of tree removal in Wayne NJ? A tree in need of removal is a safety hazard due to it's heightened risk of falling. If you suspect that a tree on your property is dying or needs to be removed, don't hesitate and call Amazing Tree Service. 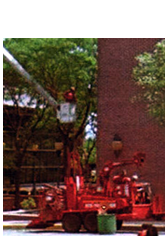 Tree removal in Wayne NJ requires complex machinery and the experience of trained professionals. At Amazing Tree Service, our expert tree technicians will perform the tree removal meticulously and safely. Large, older trees are often in danger of falling and can seriously put your home, and most importantly your family in danger. 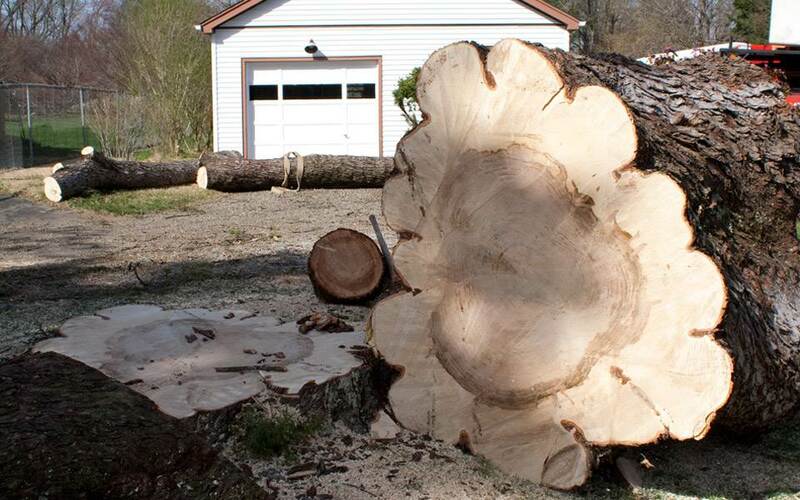 After Amazing Tree Service removes your tree, we offer to cut the tree into firewood. Tree removal in Wayne NJ needs specialized equipment. We own all of our equipment, and are closely familiar with the machinery. We take all means to eliminate risks or complications while maximizing efficiency in all of our tree services. Amazing Tree Services is a tree removal company that provides affordable tree services for New Jersey. We own all of our own trucks, equipment and tools which means that we do not have to wait for anything to be brought to us. This ensures a quick response time when you call for any tree services. Our services include tree trimming, seasonal cleanups, firewood, stump grinding, tree pruning and tree removal for Rockaway NJ. If you notice that a tree on your property is loose in its soil, it is best to immediately call tree removal professionals. 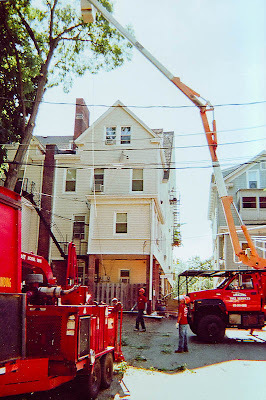 Amazing Tree Services in NJ has the equipment and expertise to removal any tree from your property, even if it is in a confined or hard to reach location. Our skilled team of tree removal experts have the training and experience to remove any tree you desire. We take all necessary means to minimize risk or complications while maximizing productivity and efficiency in tree removal for Rockaway NJ. We guarantee that our tree professionals will complete your tree job with utmost professionalism. Amazing Tree Services only employs expert tree technicians. Our fully insured team ensures that we will leave your property just as clean as it was when we arrived. After we have removed your tree, we also offer a firewood service in which we will chop your tree into firewood for you. 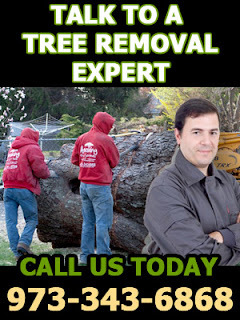 Our Rockaway NJ tree removal service is sure to solve your tree problems. For more information about Amazing Tree Services and our Rockaway NJ tree removal service, call us today at (973) 343-6868. Sometimes the best way to take care of your trees is actually have Passaic County tree trimming done on them. Just as we take time to mow our lawns in order to keep them orderly and neat, your yard can get out of hand if you neglect trimming the trees on your property. Trees that are not trimmed occasionally can even pose a threat to people and homes that are in the path of falling limbs and branches. As the fall approaches, taking the precaution of Passaic County tree trimming can save you a huge headache down the road. Amazing Tree Service is a fully insured company that performs Passaic County tree trimming at competitive prices for any need you have, whether aesthetic or necessary out of safety. Our tree experts can also diagnose the health of your tree and take the steps to keep your lawn, landscaping and trees looking amazing as the summer ends and fall begins. Speak to a Passaic County tree trimming expert from Amazing Tree Service by calling 973-343-6868 today for a free quote. We have the expertise, knowledge, and equipment for a safe, quick, and convenient tree trimming in Passaic County that will leave you satisfied. It is important that your trees’ branches do not grow too long and become unruly. If you are in need of tree pruning in Essex County, Amazing Tree Services is a professional tree company that provides high quality tree pruning as well as several other tree services. By trimming and pruning your trees, you can not only regulate the amount of light that your lawn receives, but also protect people and property from sick branches that could fall at any time. Amazing Tree Services own all of our own trucks and equipment. This cuts down costs for rentals., allowing us to pass the savings down to our customers. We do all that we can to minimize costs while maximizing productivity. We can also leave any of the wood that we cut for firewood or wood chips. If you would like more information on tree pruning in Essex County or any other services that we provide, call Amazing Tree Services at 973-343-6868 for a free estimate. · Safety - Tree stumps are a liability for any property owner. The cost of stump grinding in Essex County is far less than the cost associated with an injury. · Property Damage - The roots of stumps can still cause damage to foundations, sidewalks and driveways. · Prevent Infestation - Stinging insects and termites love to make tree stumps into homes. These insects have the potential to spread to your other trees or even your home or business. 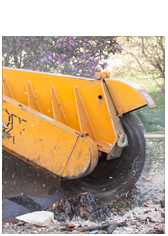 · Time Efficient - Stump grinding in Essex County is time and cost efficient. The trees on your property are an essential part of maintaining your home's appearance. If your property has trees on it, then tree pruning in Morris County is essential. It not only improves the overall look of your property but helps in many other ways. 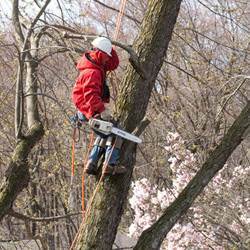 At Amazing Tree Service, we understand how important tree pruning in Morris County is. Our expert tree technicians will perform any tree service. Whether crown cleaning, crown raising, canopy pruning, under-story reduction, cosmetic tree pruning, we provide quality tree pruning in Morris County. Amazing Tree Service is dedicated to providing our customers with the most efficient and affordable tree pruning in Morris County, and we do not subcontract. We can handle any job your home may need. Our tree service company employs expert tree technicians. At Amazing Tree Service we guarantee all of our fully insured tree services. We offer free estimates for your tree pruning in Morris County. 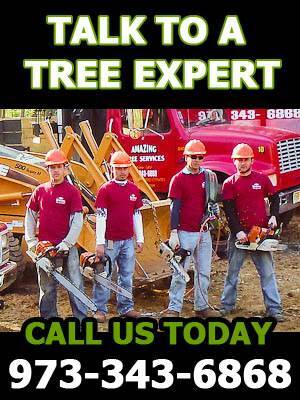 Call one of our tree experts today 973-343-6868. Why Are My Trees Dying? Tree removal in NJ is not always the first thing people resort to when they find out their tree is sick; however, if the condition of the tree worsens and it is in the process of dying, removal will be necessary. Trees are all around us, and some have been around for much longer than we could imagine. The lifespan of trees can extend anywhere from 15 years to a millennium, depending upon the type of tree. Any of these conditions can cause a tree to die. If your tree is exhibiting any of these conditions, the professionals at Amazing Tree Services can quickly and efficiently provide NJ tree removal services. If dying trees are left unattended, they can cause a lot of damage. It is unsafe to keep dead trees standing because they could fall down and harm your home, other buildings or even pedestrians. The skilled tree experts from Amazing Tree Services are fully insured and will minimize the risk of complications when removing your dying tree. For more information on the services provided by Amazing Tree Services for tree removal, contact us today at 973-343-6868, and receive a free estimate for tree removal in NJ. This scenario could happen to anyone: the thunderstorm last night finally knocked down that rickety tree in your front yard. Everyone is fine – but now your driveway is blocked and you can't get to work! 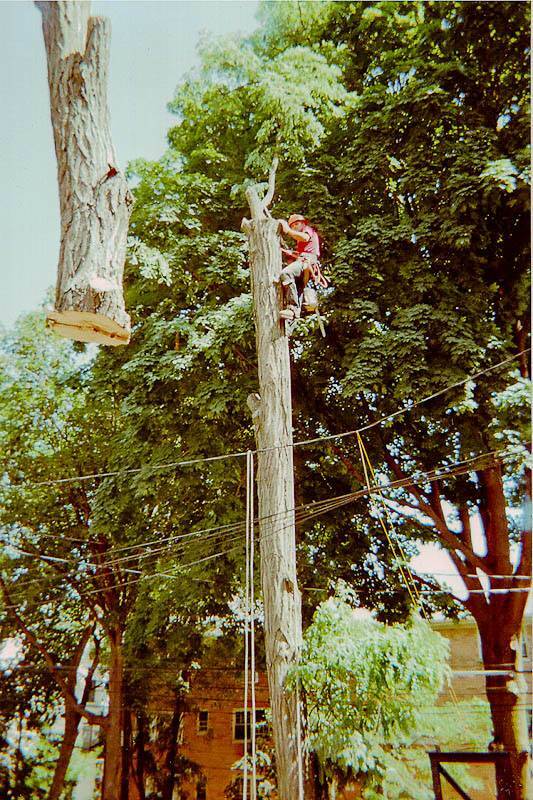 Before this happens to you, get in touch with Amazing Tree Service for emergency tree removal in Essex County. Whether you need an old tree taken out fast or need someone to get rid of a tree that has fallen down already, Amazing Tree Service has the resources and the skills to make this speedy and affordable for you. By definition, emergencies are something that could happen at any time. We designed our Essex County emergency tree removal services off this principle, because when a tree needs to be removed it can come down to a matter of safety. Large, older trees can be especially hazardous if they are looming over your home or where cars are parked, so by utilizing our emergency tree removal services you could be saving yourself a lot of trouble later on. If you have a tree emergency that needs immediate attention from our Essex County emergency tree removal team, give us a call right now at 973-343-6868, and we will help get rid of the danger. For any other questions about our services, contact us today to speak to a professional. Trees are a wonderful part of nature but they can be troublesome. They can become tangled in telephone lines or become loose in the soil after a particularly windy storm. Most people try to take care of the problem on their own, making it even worse by accidentally knocking the entire tree into something valuable like their car or their home. (We've all seen those videos online and on popular television shows that highlight unintelligent decisions.) 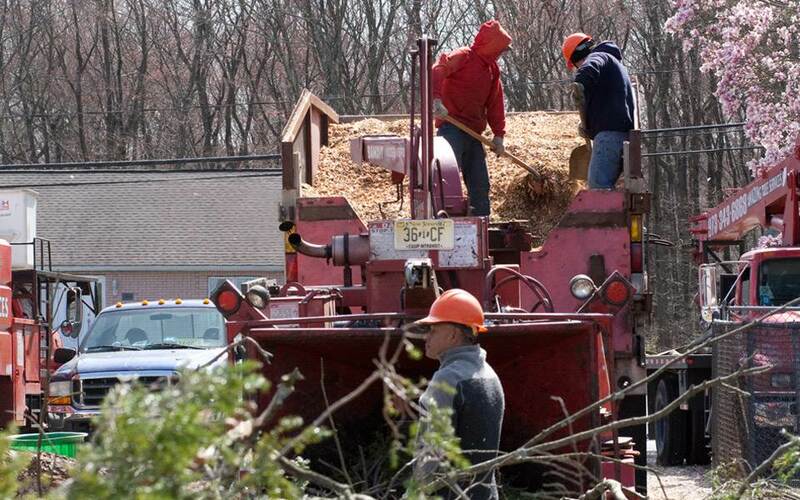 When it comes to dealing with trees, leave it in the hands of a tree company in Morris County. Amazing Tree Services is a certified and insured NJ tree company in Morris County. We specialize in stump grinding as well as tree removal, trimming, and pruning. We also work with dying trees and offer a firewood service in which we will cut the tree into firewood for your fireplace. After we've finished, we guarantee we will leave your property as clean as it was before we did our job. We aim to service your tree needs while keeping the price as affordable as possible. Also, Amazing Tree Services only employs tree technicians who have a lot of experience and knowledge when it comes to dealing with trees because we want our customers to be in trusted hands. Overall, our goal is to quickly and efficiently aid you with our tree services. Call (973) 343-6868 to talk to one of our tree experts today. Let this Morris County tree company help you with the trees in your yard. With all of the storms that have been coming our way this year, many trees have been uprooted and tossed about like potted plants. Most others have been left partially uprooted, dangerously swaying at the slightest breeze. Trees, though they are Mother Nature's beautiful way of decorating your property, can be very unsafe for your home and your family if left loose in the soil. Instead of hypnotizing yourself as you watch these trees tilt back and forth, call the experts of Passaic County emergency tree removal to take care of it for you. Amazing Tree Services in New Jersey is a fully insured company with expertise in removing trees that have already fallen or are close to it. We pride ourselves in taking care of your tree needs while minimizing costs as much as we can. Amazing Tree Services specializes in stump grinding as well as tree trimming, pruning, and emergency tree removal in Passaic County. Because we own all of the equipment we use, we are familiar with it and take all the necessary safety precautions to keep you safe while we do our job. Our response time for emergencies is much faster since we do not have to wait for equipment to be brought to us. We are willing to remove swaying trees or trees that have already fallen. We also work with dying trees and offer a firewood service in which we will cut the tree into firewood for your fireplace. After we've finished, we guarantee we will leave your property as clean as it was before we did our job. To contact Amazing Tree Services and get a free tree removal estimate, call (973) 343-6868. When it comes to emergency tree removal in Passaic County, trust us. Trees require work in order to stay healthy and look good, but sometimes this work is too much for you to do on your own. When you need a tree removal in Essex County done, call the experts at Amazing Tree Services to do this dangerous job for you. 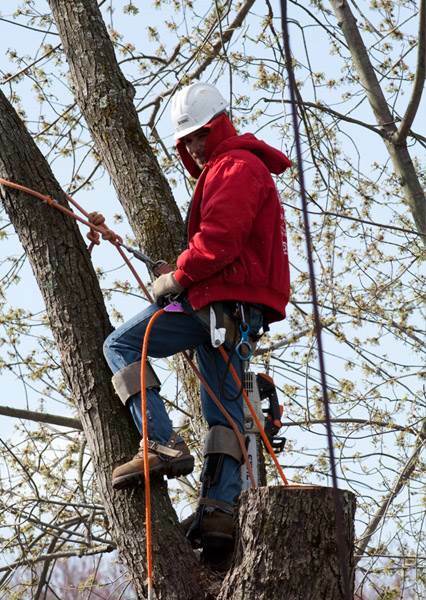 Fully licensed and insured, Amazing Tree Service's technicians are trained to handle even the most complex tree removals in Essex County with efficiency and ease. Tree removal helps to keep your yard looking lush as well as preventing any damage or harm from falling branches that haven't been kept up lately. Whether you need just one branch trimmed or want to chop down the whole tree, no job is too small or too large for Amazing Tree Services to take care of. Tree removal isn't the sort of thing you can do on your own - it requires using complicated machinery - so don't wait to talk to Amazing Tree Services about how we can assist your Essex County tree removal. Our tree services have been faithfully serving New Jersey with high efficiency and low cost, and we are willing to help you with anything you need. Call 973-343-6868 for a free estimate and tell us about how Amazing Tree Services can help you with Essex County tree removal. Stumps can be an eyesore on any property. Sometimes homeowners will leave the stump after a tree is removed because they want to save on the cost of having it taken out, but this can take a terrible toll on your lawn. Stumps attract weeds, bugs, and unwanted vegetation, affecting the overall health of your lawn and the aesthetic beauty of your yard. If you need stump removal in NJ, contact Amazing Tree Services. It is extremely dangerous to attempt stump-grinding on your own, so get in touch with our professionals who are experts in the field of tree care and removal. Amazing tree service's stump removal in NJ can be arranged before or after any tree removal services, and depending on your needs the stump-grinding crew can provide you with wood chips or haul the stump away completely. 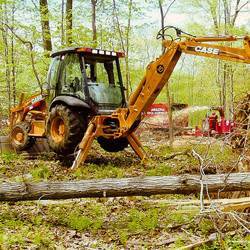 Amazing Tree Services has the heavy machinery as well as the necessary skill to handle NJ stump removal safely, quickly, and efficiently to suit your needs. Contact Amazing Tree Services for your New Jersey stump removal needs today or to get a free estimate on getting your stump removed. We are happy to assist your tree needs, so call 973-343-6868 and speak to an expert about our services. Whether you need large scale tree removal or just want to get an old, sick tree taken off your property, Amazing Tree Services can provide you with tree removal in Morris County. At Amazing Tree Services we have the heavy equipment as well as the training necessary to safely handle even the most complex tree removals in a quick and efficient way. We are fully licensed and insured, and we take all precautions to minimize the risk of tree removal. 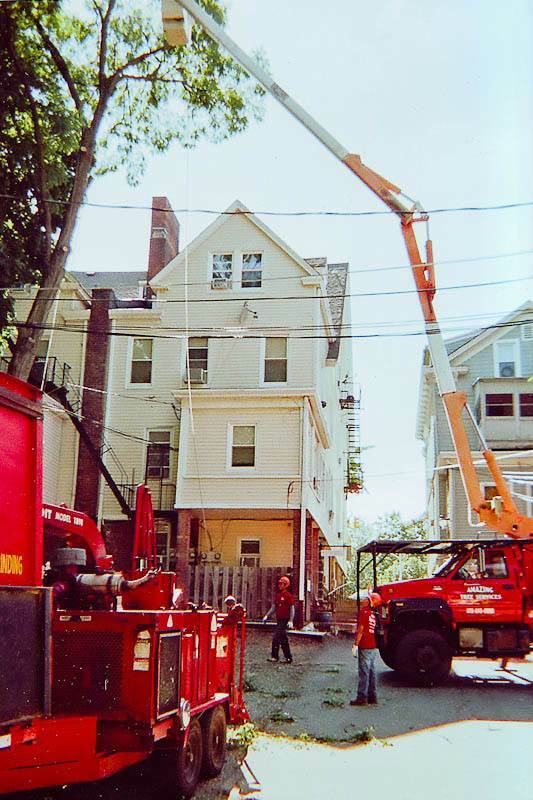 When a tree is old, sick, or growing dangerously close to a building or over an area where people walk or drive frequently, it is probably a good idea to have that tree removed - failure to do so could result in harm befalling a person or property. Don't wait for something to happen, call the premier company for tree removal in Morris County and feel secure that we will eliminate the danger. 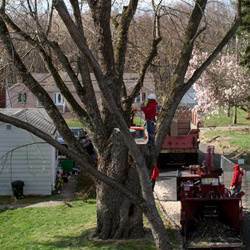 Amazing Tree Services offers much more than just Morris County tree removal. Contact us for all of your trimming, pruning, and stump grinding needs in addition to any tree removal you might require. Our professionals are trained in all aspects of tree care and you can be assured that we will perform any job to your satisfaction. Give us a call today at 973-343-686 and tell us how we can help with your next Morris County tree removal. How long are you going to watch that dangerous branch dangle over your house before you decide to do something about it? Falling tree branches can cause some serious harm to people or property, so hire Amazing Tree Services for all of your NJ tree trimming needs. Our tree removal company has specialists and equipment for any situation, and are able to remove hazardous branches without causing damage to the tree itself or surrounding property. Don't ignore those dangerous tree limbs until they fall and cause damage to pedestrians or property, call our tree trimming experts and let us take care of your tree trimming in New Jersey. We are fully insured and guarantee to do our work to your satisfaction in a timely and professional way. Contact our tree removal experts by calling 973-343-6868 for a free trimming estimate and see how Amazing Tree Services can help. If you have any damaged trees on your property, they need to be taken care of before they can cause any harm or injury. Amazing Tree Services provides many tree services in NJ, including tree removal, tree trimming, tree pruning and stump grinding. Our professional staff is fully trained to safely and quickly remove any tree on your property. Amazing Tree Services, we own all of our own trucks, tools and equipment. This allows us to begin a job quickly without charging extra for any rental fees. 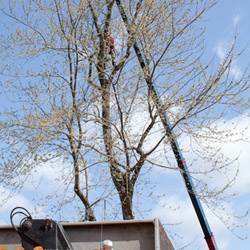 We guarantee full satisfaction and provide high quality NJ tree services at affordable prices. We always use our own workers and never subcontract. Once trees are removed, many people leave the stump in their yard because it is difficult to remove the stumps without the proper tools. Not only is this unsightly, but it can attract weeds, termites and other such insects. There is no need to leave the stump behind when we have the skills and tools to remove the stump easily. 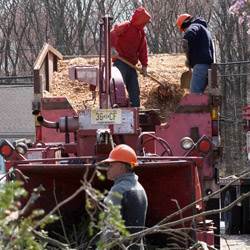 When our NJ tree services are complete, we will leave you with any remaining wood chips or firewood if you would like. For more information on any of our tree services, call Amazing Tree Services at 973-343-6868. New Jersey has set a new record for rainfall this past month. If these heavy storms have damaged any of your trees or your trees’ branches, Amazing Tree Services can assist you with any of these problems. Dead trees and dangling branches are hazardous and can fall at any time. They should be removed and our NJ tree company can provide these services quickly and easily. While you may try to perform these tasks on your own, they could be time consuming or even dangerous without the proper experience and equipment. We offer high quality work at affordable rates. We can even leave behind firewood or wood chips if you would like. We can even perform snow plowing and other crane services. If you would like to know more about any of the services that our tree company in NJ provides, call Amazing Tree Services at 973-343-6868.